Outrageous, disappointing, obnoxious and occasionally funny. No, we aren’t referring to Two and a Half Men reruns. 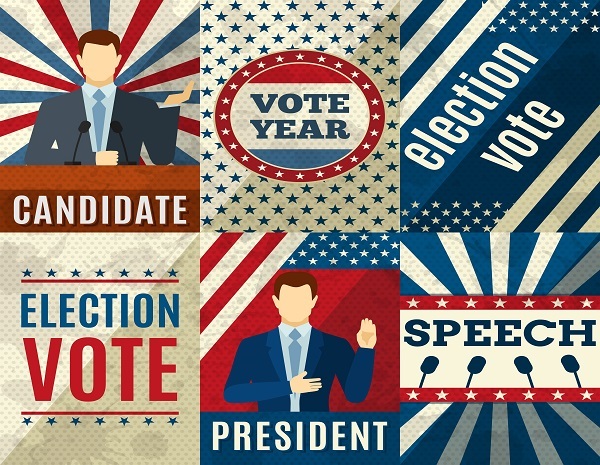 Rather our quadrennial guilty pastime, Presidential election season. So many debates, rallies, clips, videos, memes, tweets, whatever updates on Instagram are called and various other information dissemination mediums we’re too old or too unhip to be aware of. A great politician can speak at length without ever saying anything new, a political prodigy can speak at length without ever saying anything at all. However politicians don’t hold the patent on circumlocution. Investment advisers are also pretty adept at talking a lot without saying much. We think it’s the economic and statistics classes. Let us break with industry convention and speak plainly. Our objectives with these updates are threefold. First to revisit and reinforce the themes discussed in client meetings. So often these updates reflect on actions taken in recent weeks. First we verbally explain the “what and why” of our actions then follow up with a written update to solidify those actions in the minds of our clients. Our second objective is to explore any new information that we feel materially shifts our outlook or more importantly compels us to shift our portfolios. This objective doesn’t align with routine, scheduled updates and is very ad hoc by its nature. Finally, we hope our updates serve to solidify our client’s understanding of how we approach a variety of market environments. Ideally, over time our clients grow increasingly comfortable with our management because not only do they understand the “how and why” of their allocations at any given time but how we are likely to respond to new material information. Importantly, there really hasn’t been much reason in recent weeks based upon the three criteria listed above to publish a market update. Precisely because not much has changed lately. Sure, the first quarter was very volatile. But we’ve been banging the “raise cash, lower volatility” drum for a good long time now. It’s true to say we were unsure of the direction of the market as we began 2016. When one lacks conviction about how the market is poised to move one should, in our view, reduce risk. Our clients should be well aware that’s precisely what has occurred in their accounts. A quick glance at recent statements should show a fairly significant reduction is stocks and increase in cash. Now we find ourselves in late April, poised to move into the summer doldrums, in a presidential election year where the stock market has rallied well over 10% from its February lows. We’re struggling to think of any reason to move back into equities at this time. While we reserve the right to change our outlook for capital markets at any time between now and then, look for us to start warming up to stocks some point between preseason NFL games and leaves changing colors. In summary we continue to believe as we have for upwards of 16 months that now is not the time to reach for return. However as we move past the dog days of summer we are optimistic that this volatile, range-bound, sideways market may be poised for a leg higher. We are Monarch Asset Management and we approve of this message.